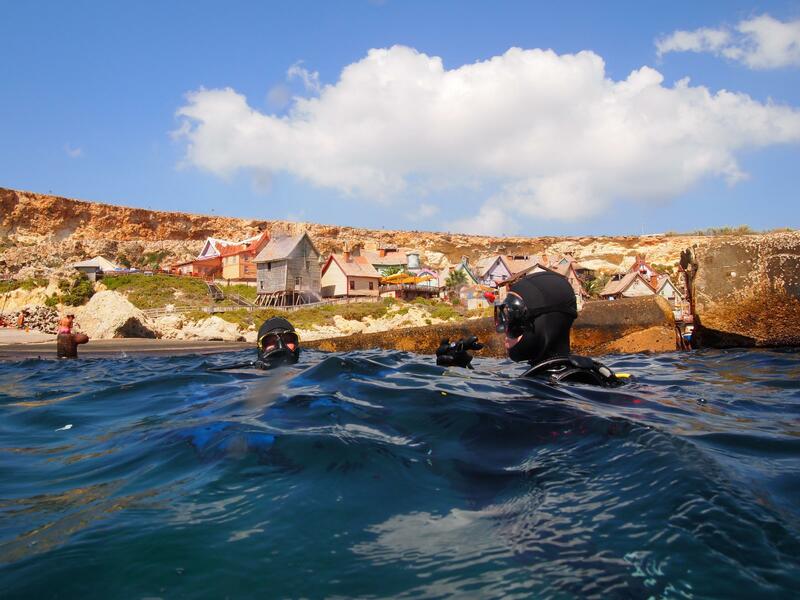 Anchor Bay is a popular dive site located near Mellieha on the northwest coast of Malta. Shore dive sites in Anchor Bay are a large anchor, a beautiful cave, a varied reef, and a shallow training area. 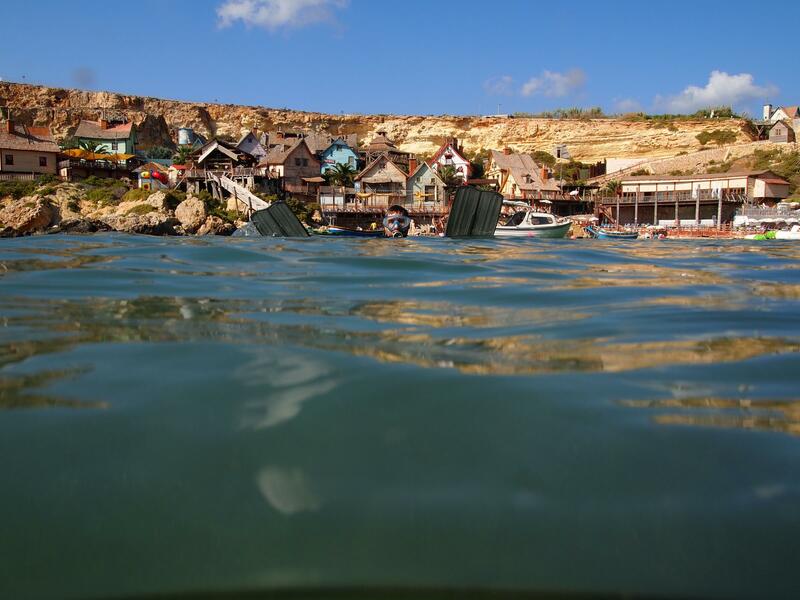 The bay is also known as Popeye Village. Anchor Bay dive site features a large anchor and its anchor chain. The anchor is about 3m in length, and lies on sand around 8m deep. ★★★☆☆ The cave (and maybe the Popeye Village for tourist visitors) makes this place worth the visit. Sunsets are also awesome here.